Enable Topbar – option to enable/disable showing the topbar. 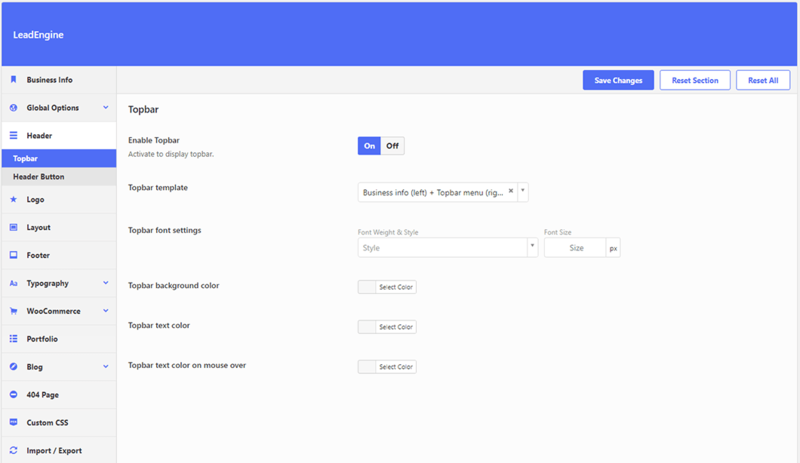 Topbar template – select the topbar template. The business info details can be configured in Theme Options > Business Info. Topbar font settings– control the typography settings of the topbar texts. Topbar background color – select the topbar background color. Topbar text color – select the topbar text color. Topbar text color on mouse over – select the topbar text color on mouse over.